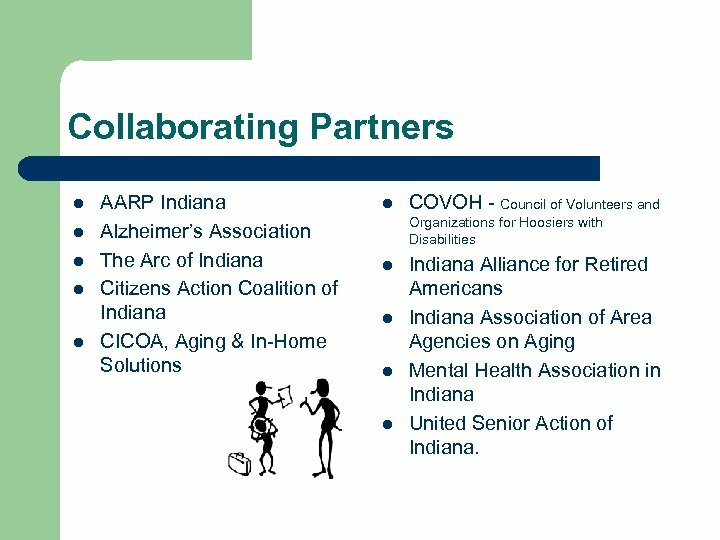 Collaborating Partners l l l AARP Indiana Alzheimer’s Association The Arc of Indiana Citizens Action Coalition of Indiana CICOA, Aging & In-Home Solutions l COVOH - Council of Volunteers and Organizations for Hoosiers with Disabilities l l Indiana Alliance for Retired Americans Indiana Association of Area Agencies on Aging Mental Health Association in Indiana United Senior Action of Indiana. 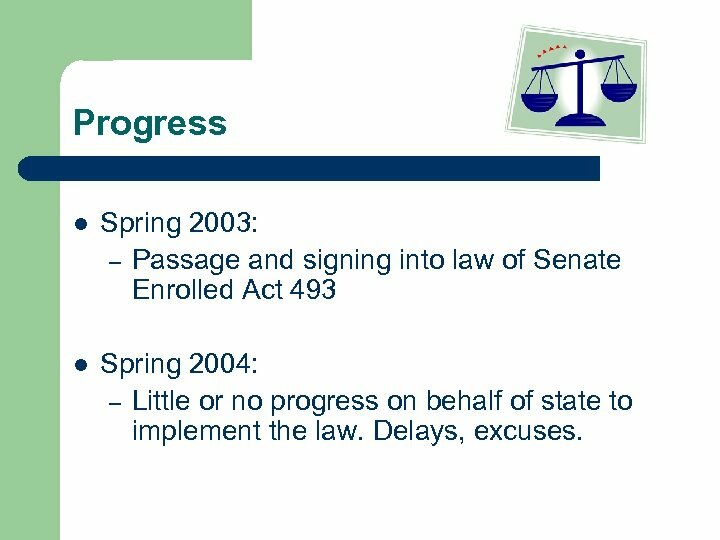 Progress l Spring 2003: – Passage and signing into law of Senate Enrolled Act 493 l Spring 2004: – Little or no progress on behalf of state to implement the law. 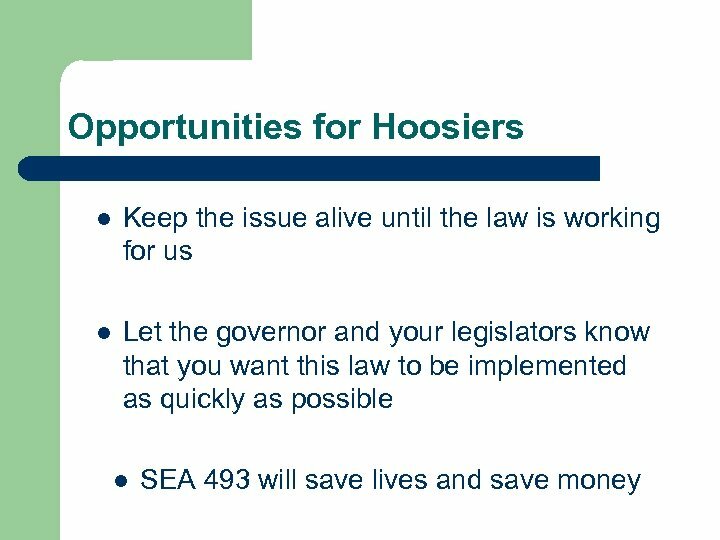 Delays, excuses. 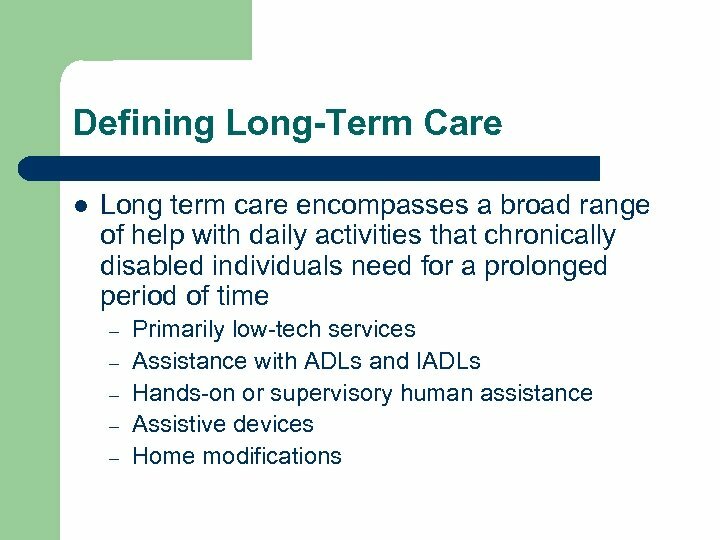 Long Term Care l l l What is long term care? 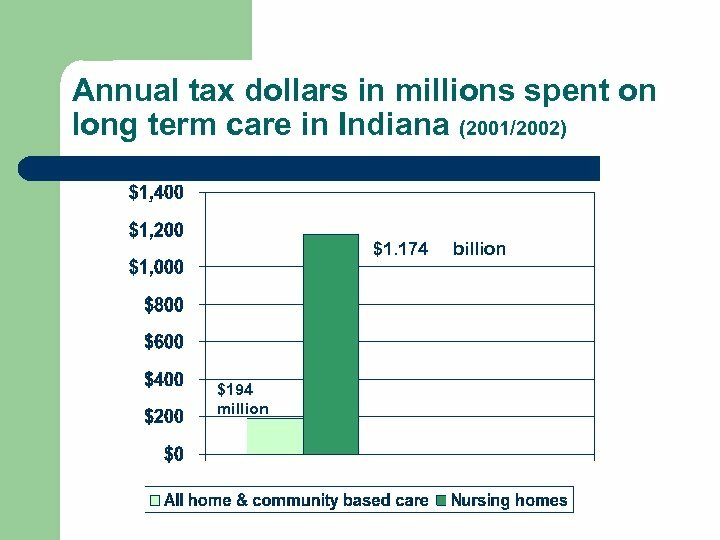 Who needs long term care? 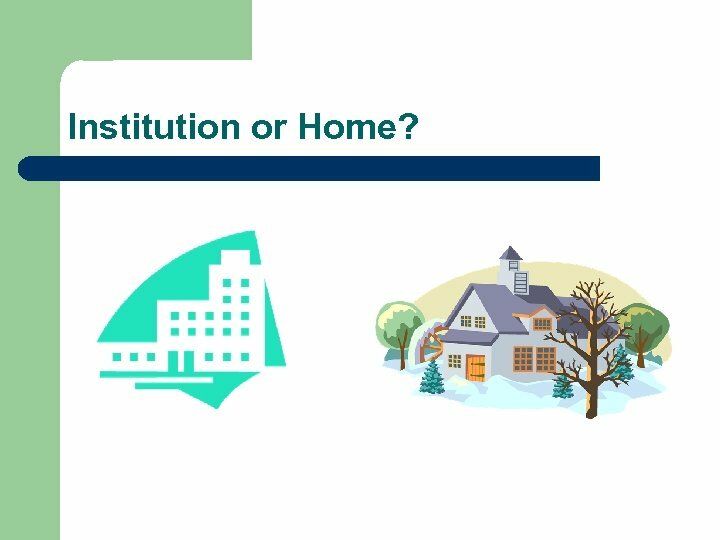 Where do people prefer to receive LTC? 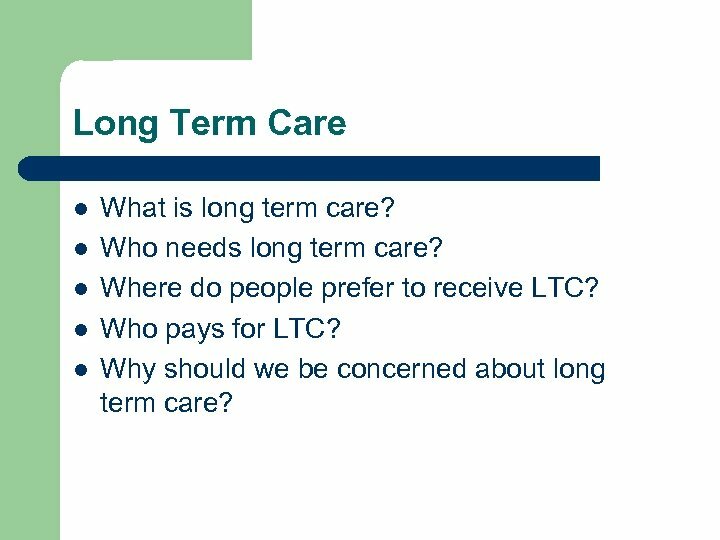 Who pays for LTC? 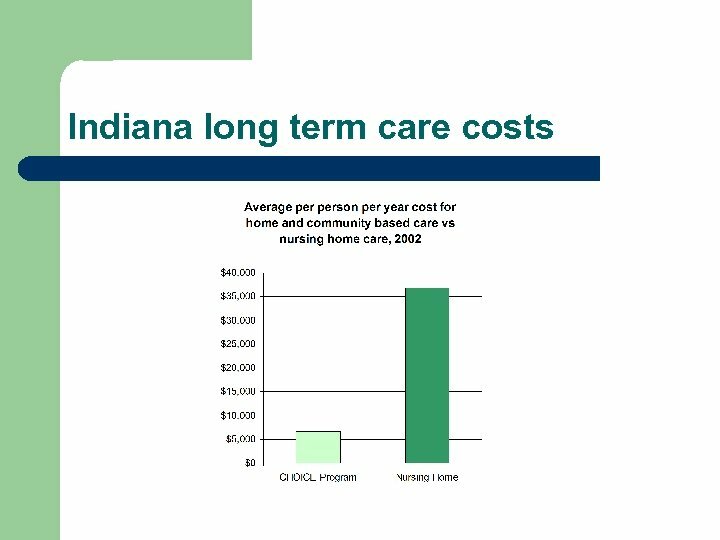 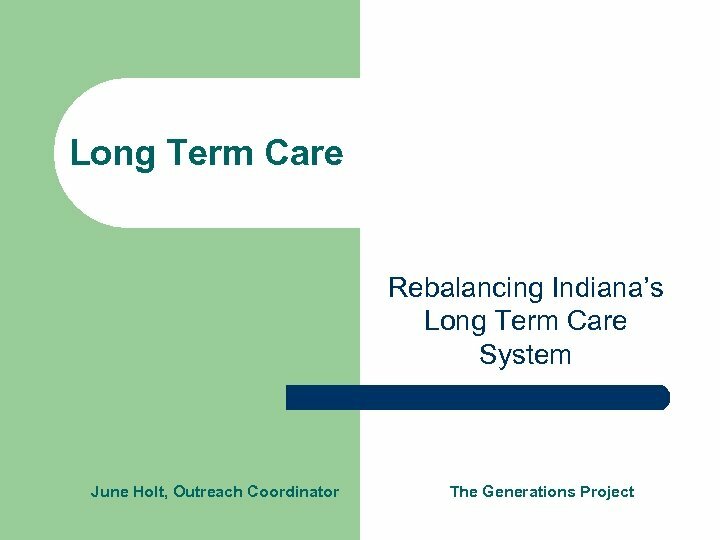 Why should we be concerned about long term care? 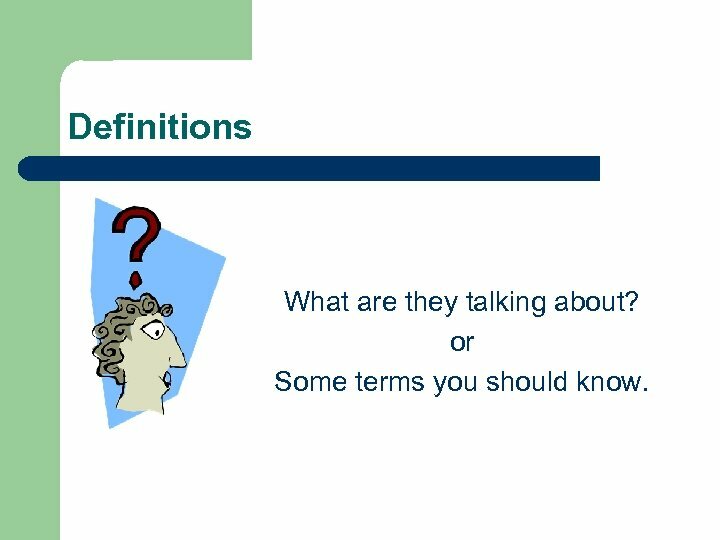 Definitions What are they talking about? 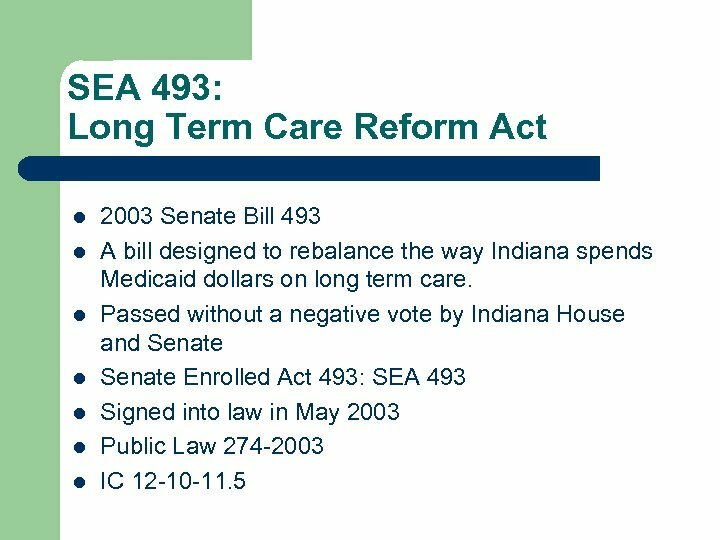 or Some terms you should know. 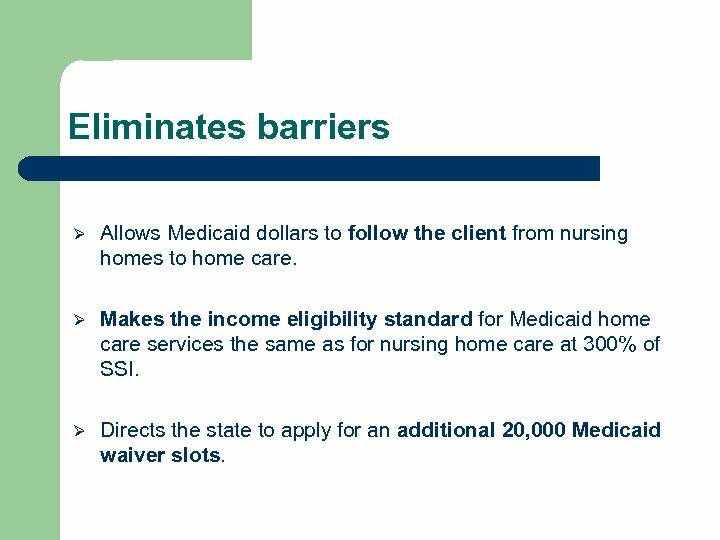 Eliminates barriers Ø Allows Medicaid dollars to follow the client from nursing homes to home care. 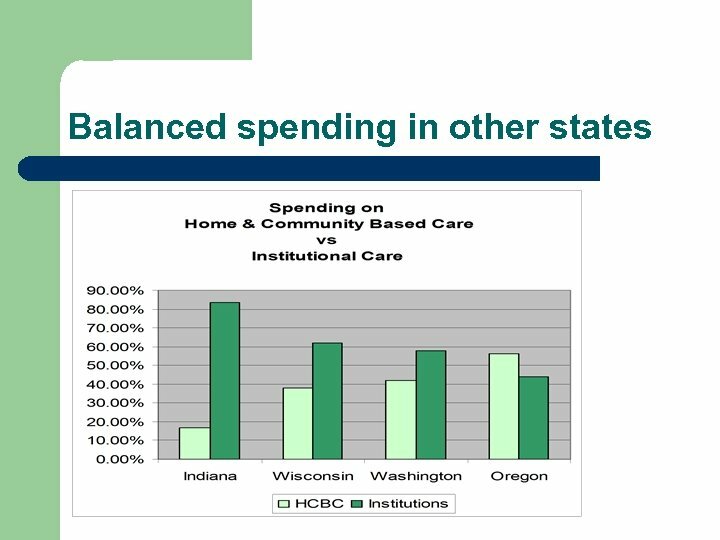 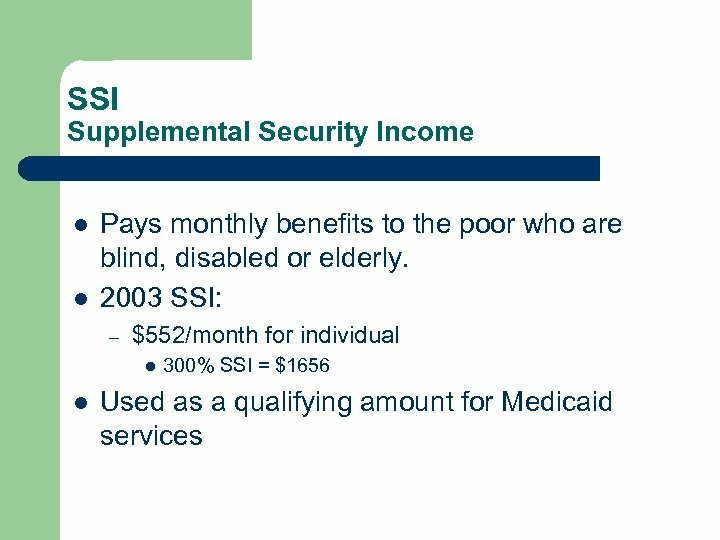 Ø Makes the income eligibility standard for Medicaid home care services the same as for nursing home care at 300% of SSI. 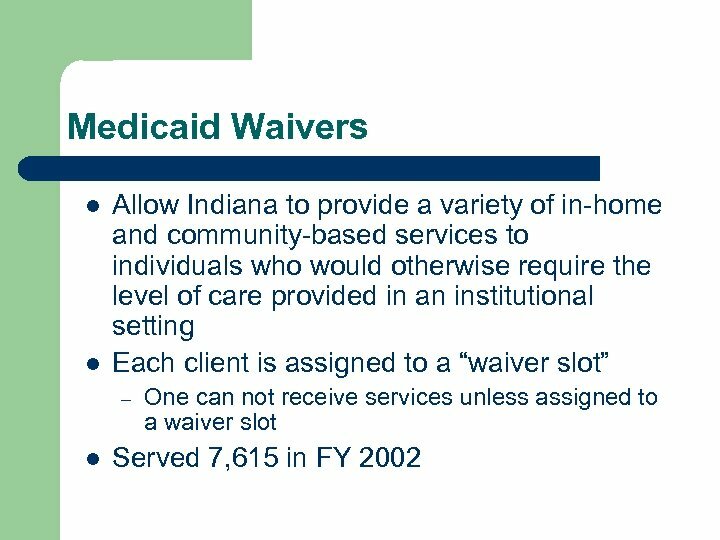 Ø Directs the state to apply for an additional 20, 000 Medicaid waiver slots. 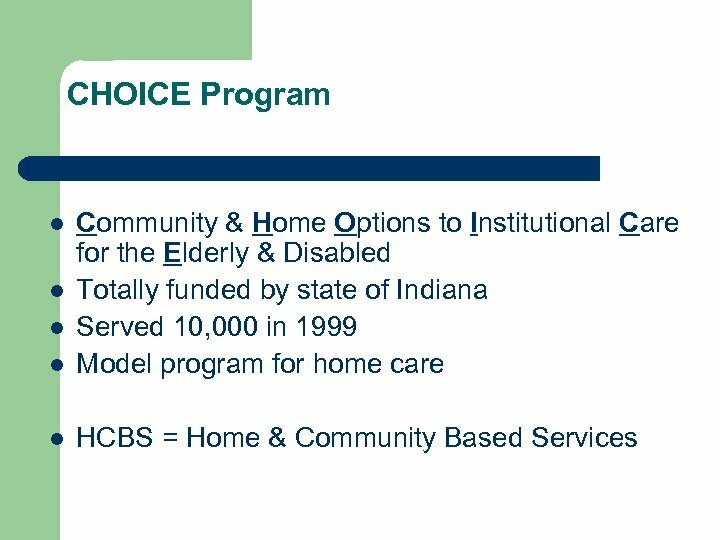 Supports families Ø Protects the spouse from becoming impoverished when services are provided at home. 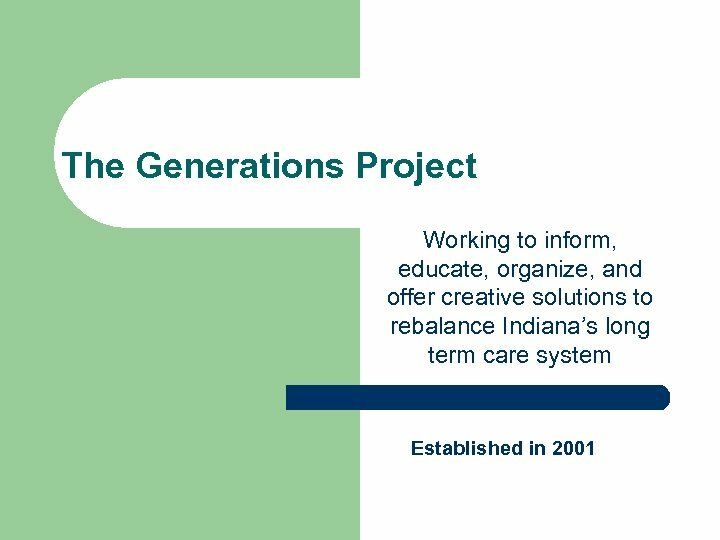 Ø Establishes a caretaker support program. 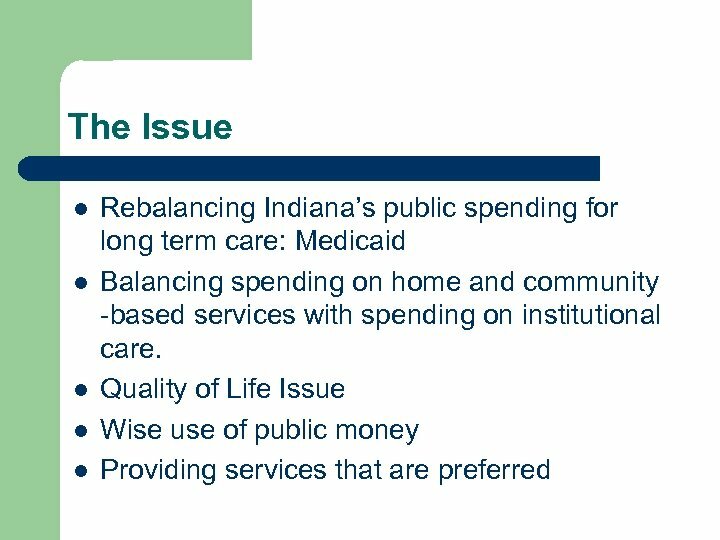 Ø Expands services to include personal care services and more. 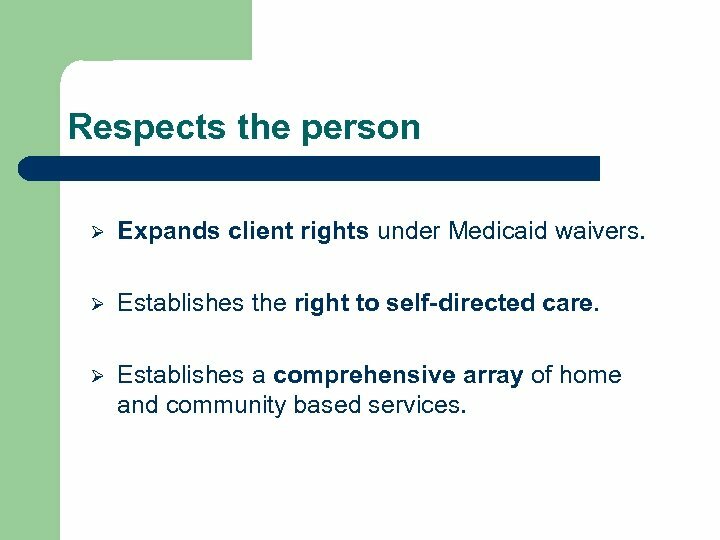 Respects the person Ø Expands client rights under Medicaid waivers. 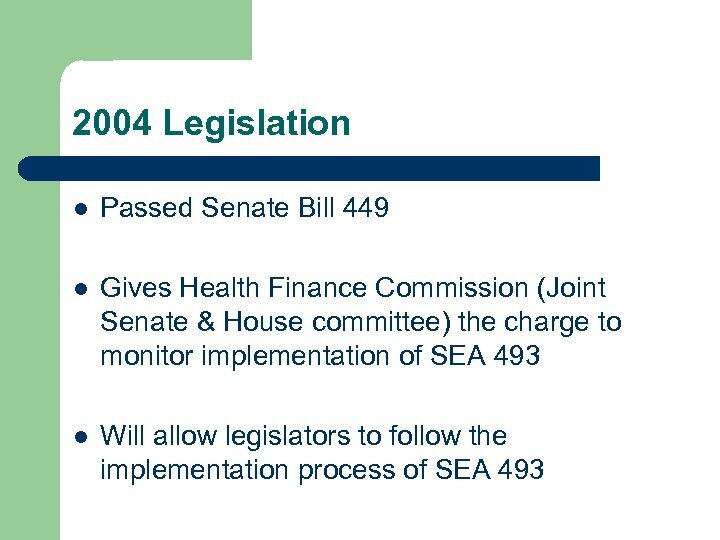 Ø Establishes the right to self-directed care. 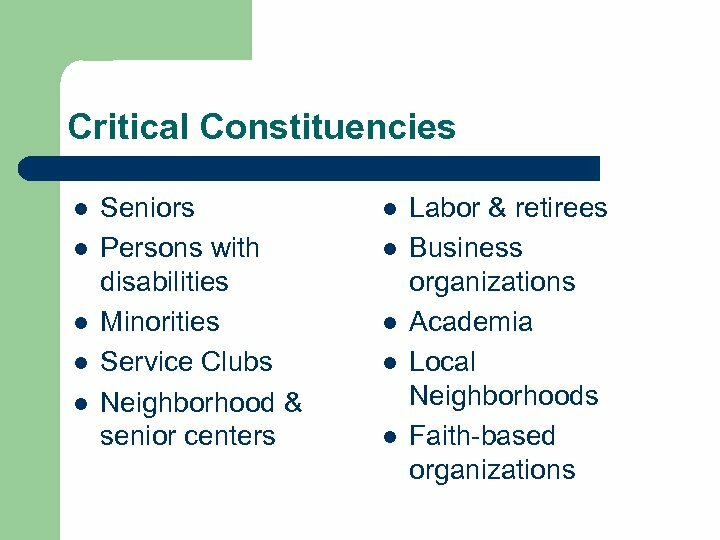 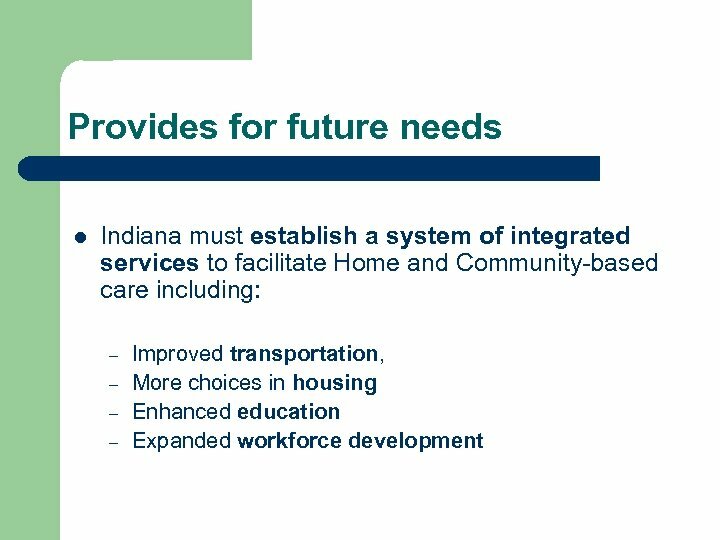 Ø Establishes a comprehensive array of home and community based services. 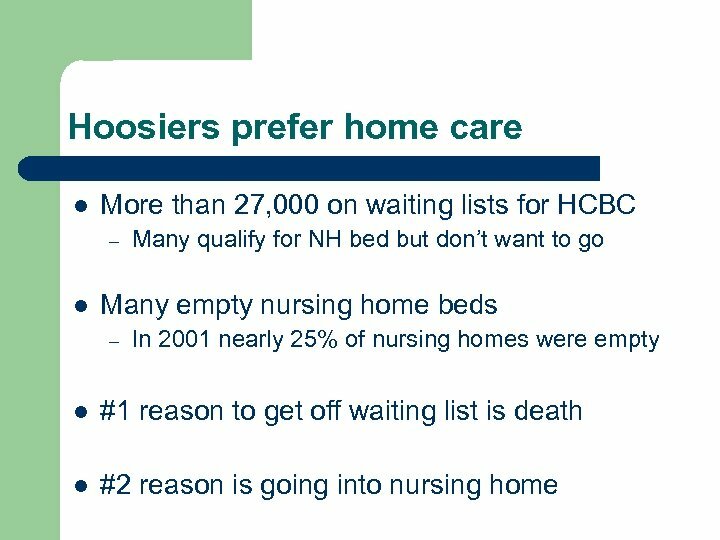 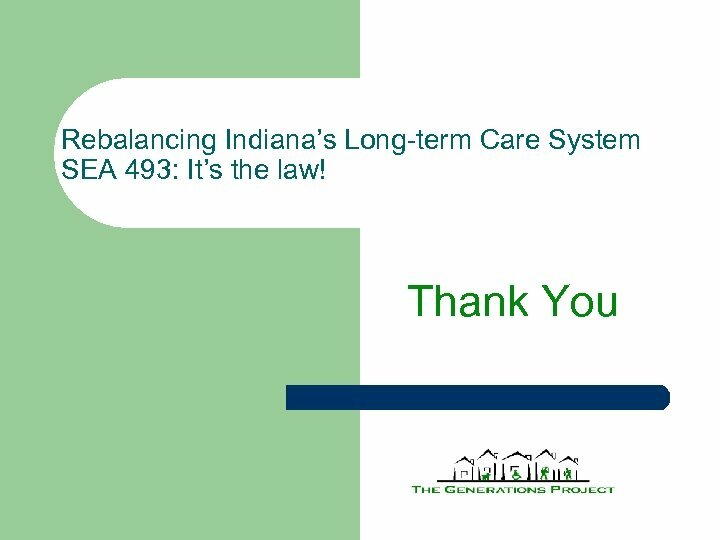 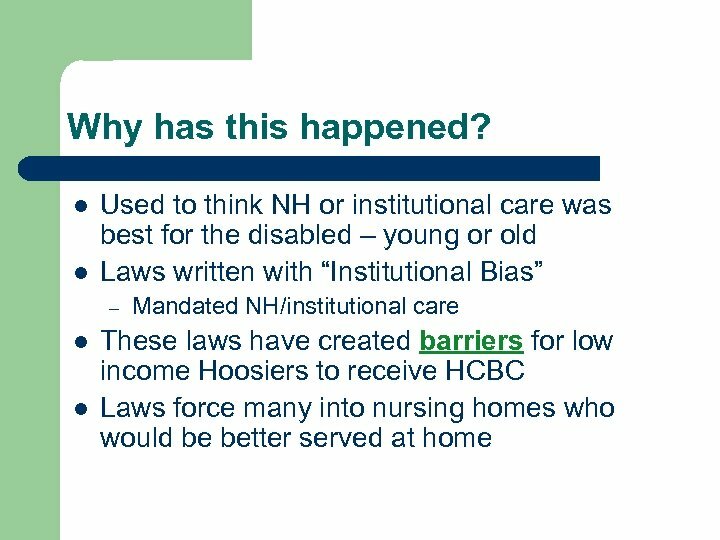 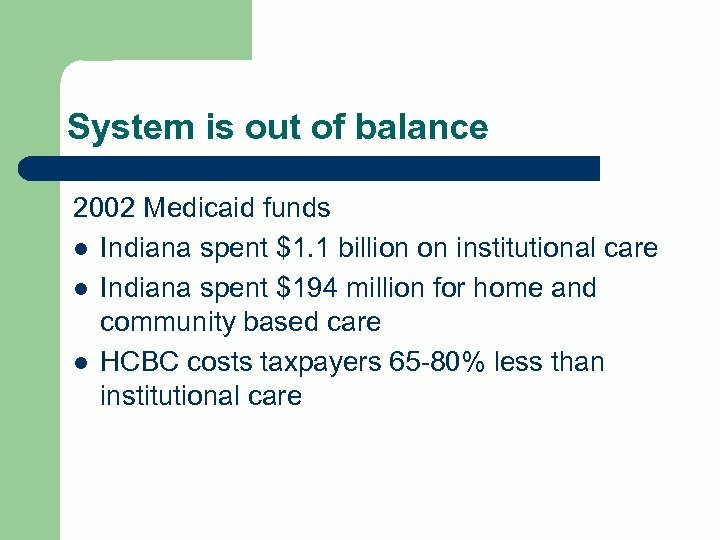 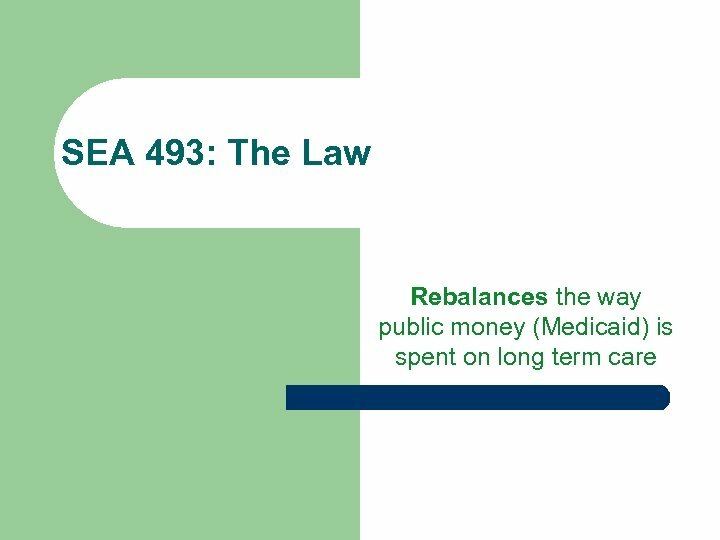 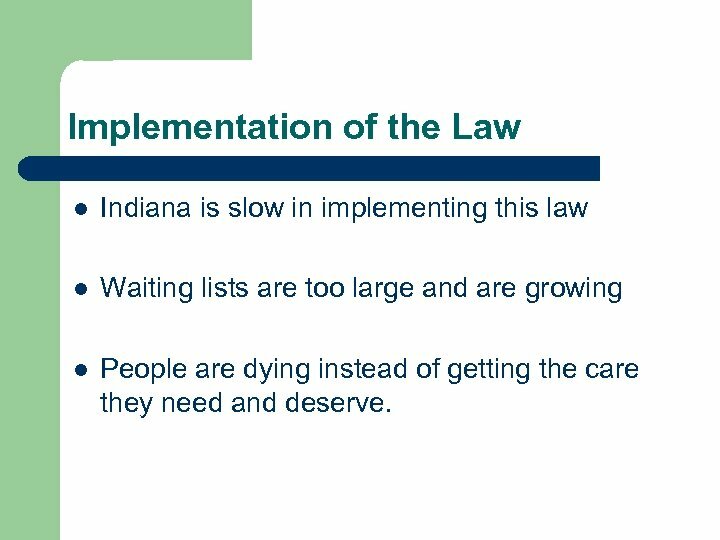 Implementation of the Law l Indiana is slow in implementing this law l Waiting lists are too large and are growing l People are dying instead of getting the care they need and deserve. 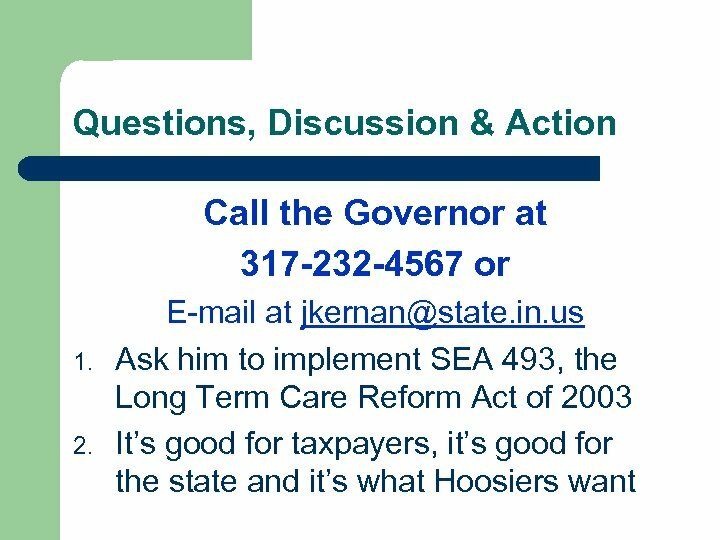 Информатика Поляруш Александр Юрьевич [email protected] ru http: //vk.